FBN is Your Source for Aftermarket Zalkin Parts | FBN Sales, Inc. 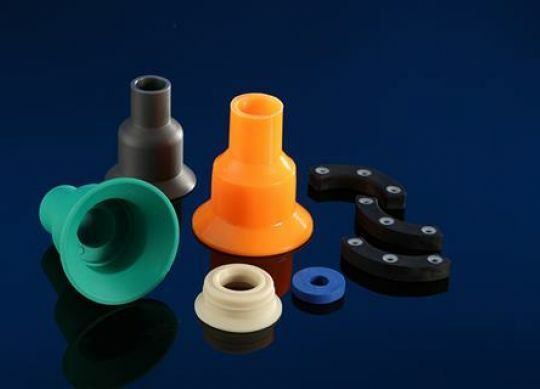 In addition to selling the industry’s best filling valves and capper clutches, FBN also manufactures a wide range of capper parts, including aftermarket Zalkin parts. No matter what you’re looking for, from anti-rotation knives to grippers and cap chucks, we have the capability to produce parts that integrate seamlessly into your existing machinery. More importantly, our parts are designed to be better than what was originally built in, so you can be confident that your line will maintain – or improve – its efficiency for a long, long time. In today’s post, we’re going to examine a few of the benefits of sourcing your capper parts from FBN. At FBN, we’re not content to sell replacements. We operate under the belief that our customers demand value and, more than that, long-term solutions. At every step, our parts are designed and tested to ensure that their performance levels exceed the original manufacturer’s parts. As with all of our products, our capper parts – including our aftermarket Zalkin parts – are manufactured to strict tolerances. This ensures that our parts are easy to integrate, that they seamlessly replace your equipment’s old parts and reduce unnecessary downtime. For over 15 years, FBN has been manufacturing filling valves and parts for all types, brands, and models of equipment. If you’ve got filling equipment, there’s a good chance we’ve already created replacement parts for it. If not, we’re happy to audit your system and develop a solution that works for you. At FBN, we pride ourselves on offering a wide range of aftermarket filler parts. Whether you’re looking for Alcoa, Arol, US Bottlers, Zalkin, FOGG, Federal, Pneumatic Scale or another manufacturer, we’re certain that we can address your needs. If you have questions about our products, we encourage you to visit our products pages and contact us with any questions.